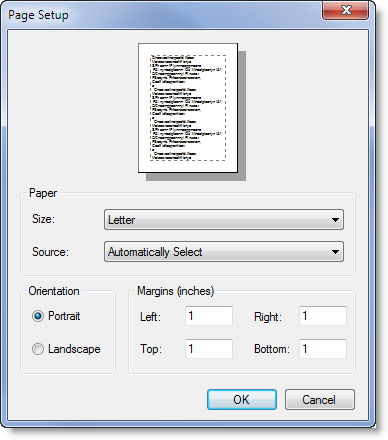 left-click (hold down) and drag – to center. (The cursor will change to an open/closed hand). 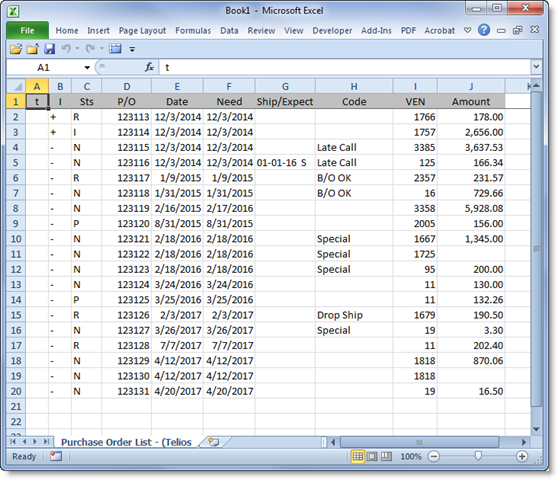 You can also use the mouse to click on a column header to sort the rows by the column. Note: Only the rows currently in the display will be sorted using this method. 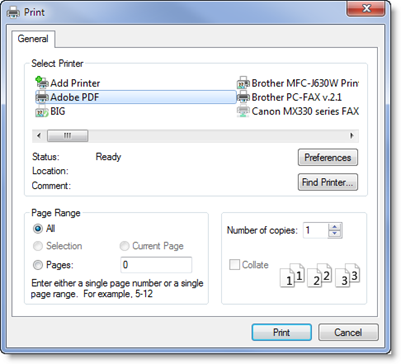 If you need more records, PAGE-UP or PAGE-DOWN to increase the number of records in the current display. 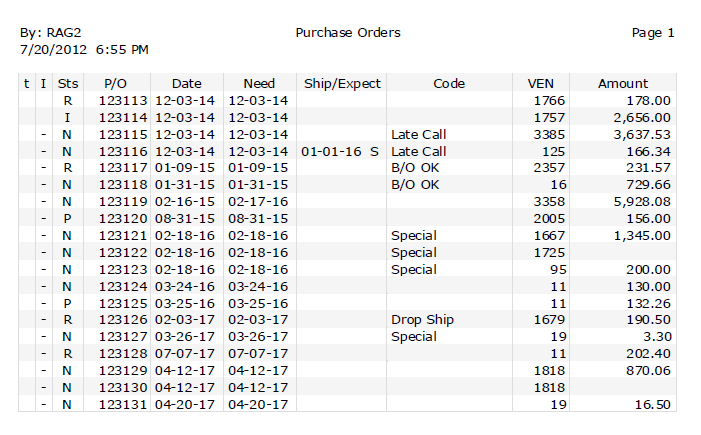 Then click on the column header to sort. HOME – Highlights the first record in the current display. END – Highlights the last record in the current display. 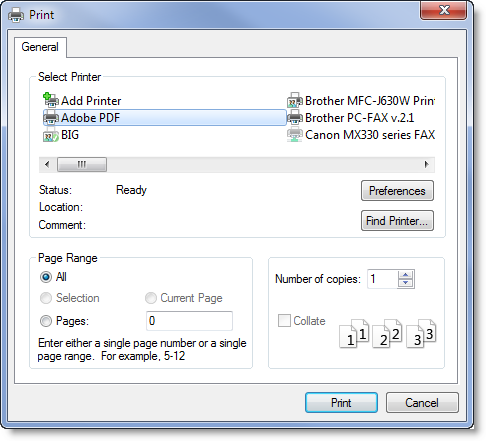 PAGE–UP – Move highlight up one page of rows. 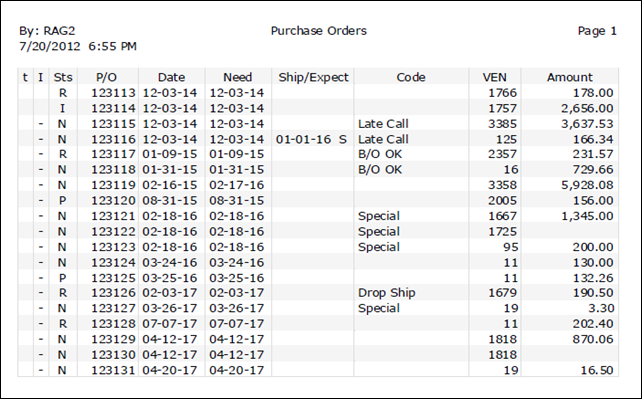 PAGE-DOWN – Move highlight down one page of rows. UP arrow – Move highlight up one row. DOWN arrow – Move highlight down one row. LEFT arrow or ESC – Move focus to Start Prompt. SPACE or ENTER – Edit highlighted record. A – Add new record. B – Balance (on some lists). C – Center display around highlighted record. (This action reloads the list). 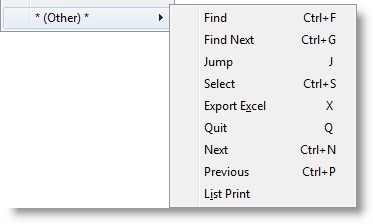 J – Jump to another program (menu). 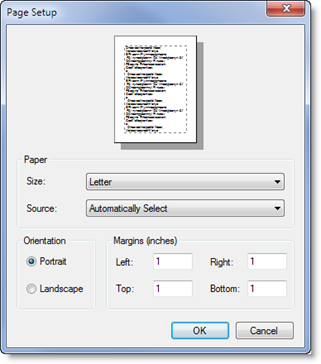 M – Open the context menu. Q – Quit program (or return to main list). The Tag section lists all of the TAG actions. See the article on the Tag Feature. 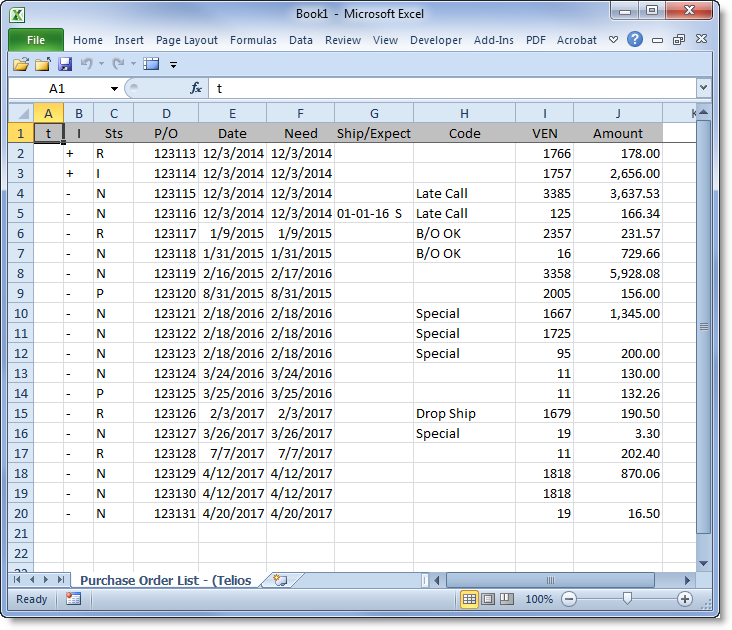 Export Excel – If Excel© is installed on the PC, the current list of records will export to a live instance of the spreadsheet. Next / Previous – the List window keeps a running history of records edited. Use CTRL-N and CTRL-P to trace back and forth between recently edited records. 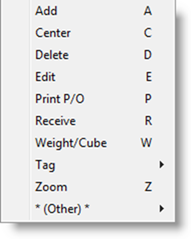 The context menu will also contain actions that are custom to the program.